Mia Mazer is a current joint MPA/MAIR (Master of Public Administration/Master of Arts in International Relations) student at the Maxwell School. This summer, I completed an internship with AMOS Health & Hope, a public health non-governmental organization in Nicaragua. 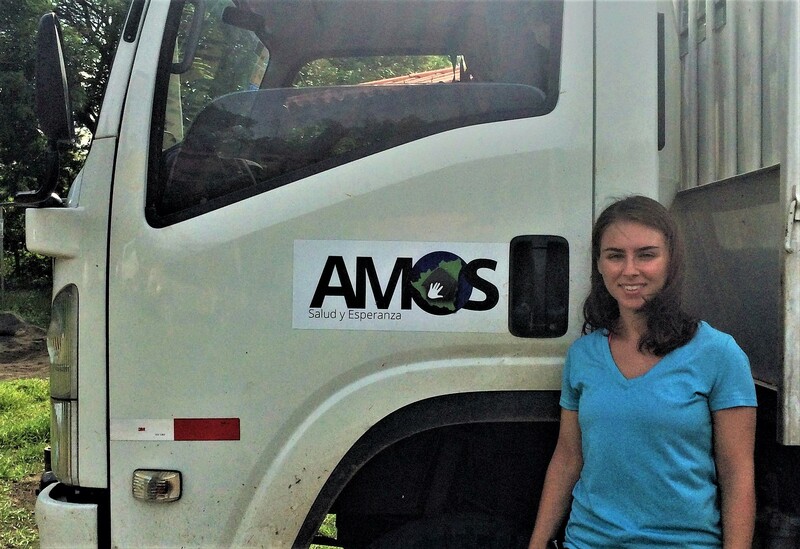 AMOS works alongside vulnerable communities, both rural and urban, on health, education and development issues in efforts to reduce poverty, disease, and preventable deaths. 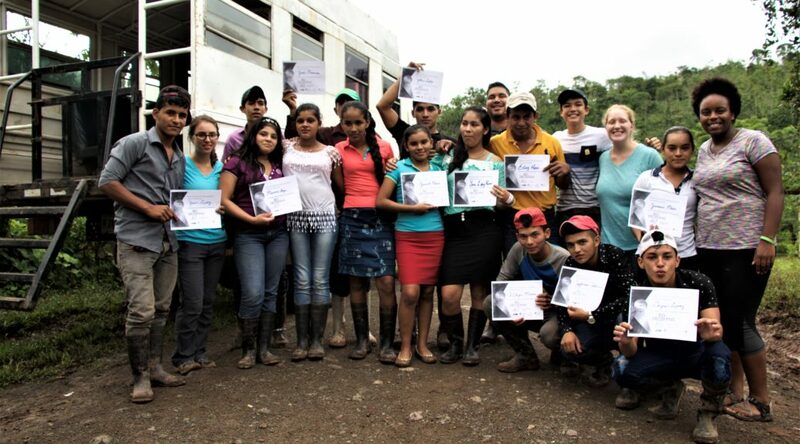 The organization implements participatory training, supportive supervision, and the community-based participatory research (CBPR) methodology while working alongside communities, allowing the community and its leaders to build upon their strengths. As a Youth Empowerment Intern, I gained invaluable field experience working with youth leaders in El Bambú, a rural community in the South Caribbean Coast Autonomous Region of Nicaragua. My responsibilities included developing and validating educational materials, facilitating lessons on youth empowerment and sexual and reproductive health issues, and assisting in monitoring and evaluation efforts of the youth empowerment program. 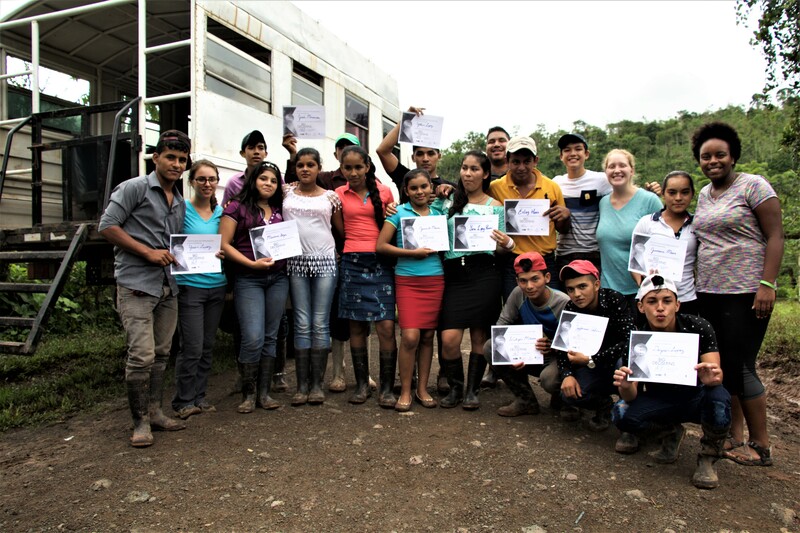 Using the Care Group model, youth leaders were imparted lessons on youth empowerment issues that will be shared with their peers, with the objective of promoting healthy behaviors and relationships and preventing drug use, early pregnancy, and suicide. This work is critical given the high rates of gender-based violence and teen pregnancy in Nicaragua. Mia with local residents in Nicaragua. This experience gave me the opportunity to see the benefits and challenges of public and foreign policy on the ground, including the strengths and weaknesses of the Nicaraguan health system, the impact of foreign aid and community-based development work, and the power of partnerships. I am certain that this experience will be an important frame of reference in my professional work in social policy and international development. More immediately, it will inform my coursework and provide an important perspective in the classroom as a second year graduate student. Living and working alongside a community with such limited resources and infrastructure was a personally transformative experience and will continue to serve as a reminder of the significant work that lies ahead to reduce global inequalities and my commitment to public service.